This property has 5 parcels all with highway frontage! 2 lots size 25x120 and 3 lots 50x120. Utilities available on all empty lots. Could have mobile home hook up again but homes were removed a few years back. Home is a 2 bedroom with a full basement. A HUGE 32x50 ft. garage with utilities and 4 large overhead doors. 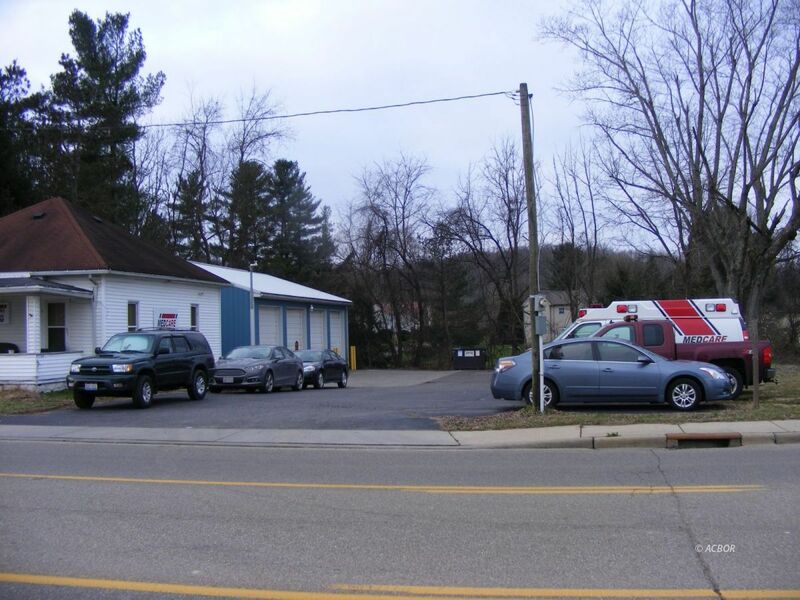 Garage currently houses the ambulances and transport vehicles for the company leasing the house and garage. The lease on this one parcel is $1,300 per month. This is a great investment property with the potential for more income! Do to the nature of this business you will need to have at least a 24 hour notice to show and showings will not begin until January 16, 2019.